"Increased response and acceleration performance. IRIDIUM POWER best demonstrates its performance improvement during acceleration. 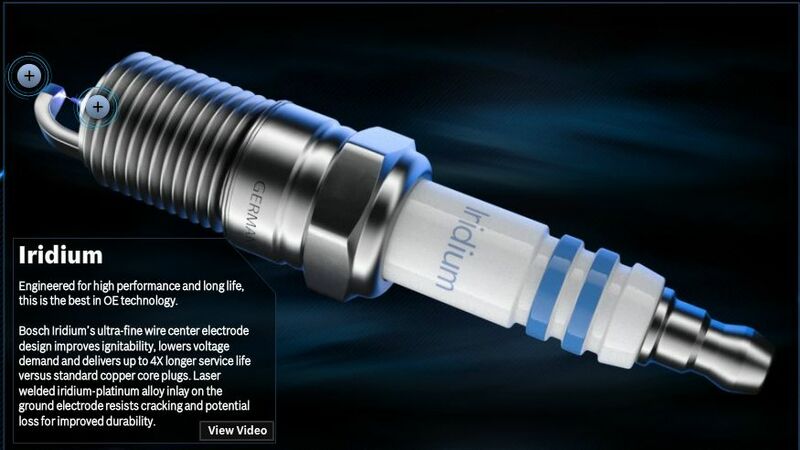 IRIDIUM POWER has a 0.4 mm diameter iridium center electrode and a specially shaped ground electrode. These features combine to achieve higher ignitability and require lower spark voltage than ever before. This enables high-response driving with fewer misfires than under higher required voltage spark conditions, and fewer misfires when ignitability is difficult. As a result, acceleration improves in comparison with normal plugs." 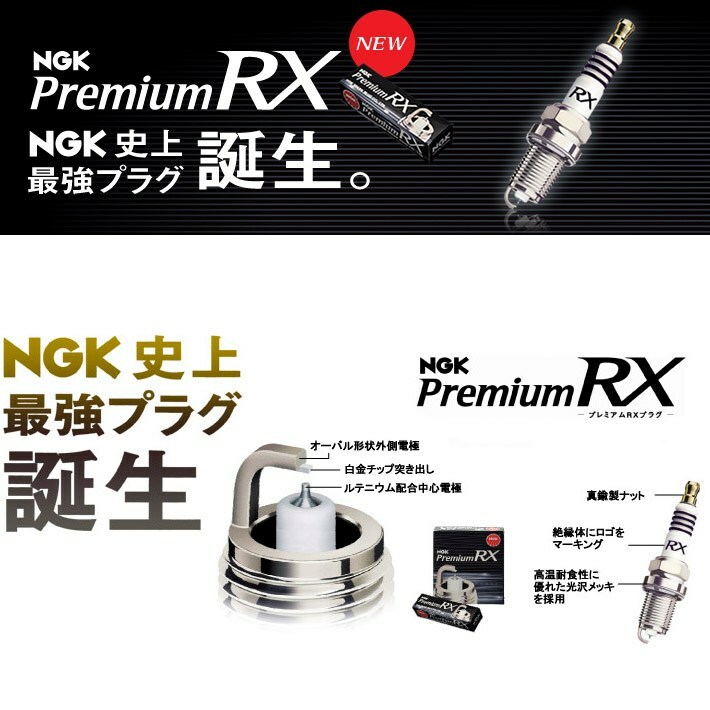 NGK RX PREMIUM are the extended version of the NGK IRIDIUM MAX. These series combine a Ruthenium center electrode of 0.6mm diameter with a ground electrode whose design has been completely revised. The ground electrode has the particularity to integrate a platinum extension that aims to greatly improve the electrical conductivity and the combustion quality while ensuring an extremely reduced electrode wear. These spark plugs also feature a brass terminal nut with very low impedance (Ohm), in the same way as Iridium Racing series (IRI-Series NGK and most IRIDIUM MAX). 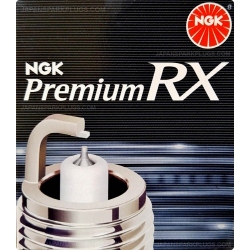 RX PREMIUM spark plugs insulator has been also completely revised to provide greater heat dissipation and leave more space for the propagation of combustion. - Performances & Lifetime unmatched to date. - Best compressions (small diameter electrodes / innovative insulation design). - Firmer accelerations with more linearity. - Maximized tension / Loss Reduction (brass module / Ruthenium electrode / ultra-fine Platinum ground extension). - Service life of 120 000 km to 140 000 km (20 to 40% more than the Platinum series / Iridium long life). - Optimized ignition / less misfires. - Less emissions / Less unburned fuel. - Better fuel economy with a much more stable ignition (Double alloy use with Ruthenium & Platinum). - Insulation completely revised, tougher, less imposing. - Better heat dissipation at an equal thermal index. 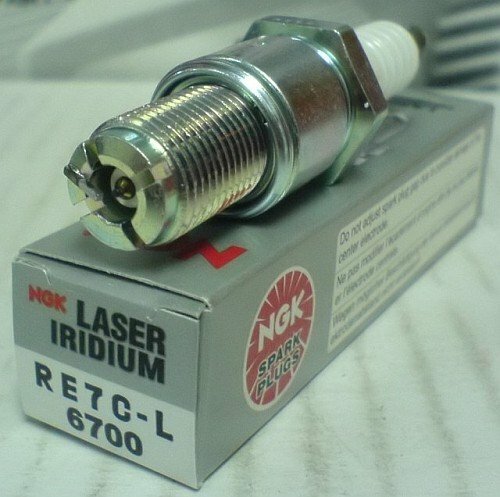 - Identical anti-corrosion alloy to NGK IRIDIUM MAX. 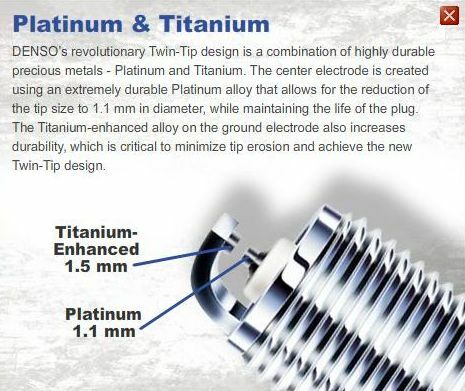 - Extended ground electrode & reinforced platinum implant. - Easy starts in all weather and all conditions of use. - Stability and durability in the long term. - Increased longevity of 20 to 40% compared to NGK IRIDIUM MAX. - Increased longevity beyond double compared to NGK Iridium IX. - Ruthenium undisputed benefits over the stability of the ignition and its corrosion resistance related to combustion effects. - Cleaner combustion / reduced polluting emissions. - Better compressions (platinum mass Extension). "Another precious metal just became more affordable. The all-new G-Power Platinum Spark Plug is designed to deliver the power, performance and quality you expect from NGK at a very competitive price. We call it platinum power to the people. The G-Power Spark Plug features an extremely fine center electrode of platinum combined with a sharp pointed ground electrode designed for better igniting performance. When compared to conventional plugs, the result is a spark plug that delivers better starts, superior acceleration and greater fuel economy. Extremely clean burning, a new set of G-Power Platinum plugs also creates a considerable reduction in overall emissions. The superior performance and extremely efficient fuel burning qualities of platinum. They make NGK G-Power mean and clean." Why choose 0.6mm over 0.4mm iridium centre electrode? 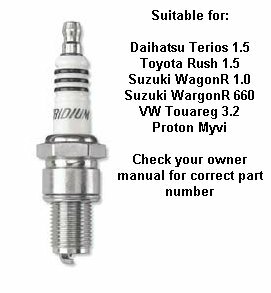 "Iridium IX Spark Plugs are the most technologically advanced high performance plugs available. Featuring a 0.6 mm iridium center electrode tip, they offer superior ignitability without sacrificing durability. The tapered ground electrode increases flame kernel expansion, while the superior heat range design is ideally suited to the demands of high performance environments. Specially designed to meet the needs of serious enthusiasts, Iridium IX Spark Plugs offer outstanding acceleration, high fuel efficiency and long life. 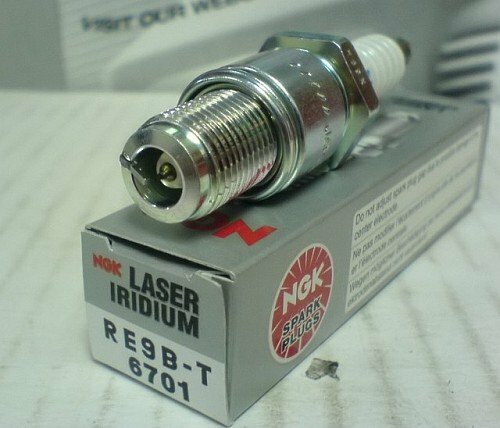 When you demand the most from your engine, rely on the proven performance of NGK Iridium IX Spark Plugs. The future has never looked so good." This product description & informational material belongs to NGK, Bosch, Performix & Denso. This is a direct information extract from www.ngkntk.co.jp , Denso, Performix & Bosch website. For more information, please go to the manufacturer's website at www.ngkntk.co.jp, Denso, Performix or Bosch online. All trademarks & copyright material belongs to NGK, Denso, Performix or Bosch. Disclaimer: The information on this site is for product price listing purposes only. mxtradings.com and content licensors assume no liability for any inaccurate, delayed or incomplete information, nor for any actions taken in reliance thereon. The information contained about each individual and firm has been supplied by such individual or firm without verification by us.